The second game of the World Championship match in which the Israeli GM had White lasted for one move more than the previous game and was marked with the same result - a draw. Black chose one of the Chebanenko system variations. Perhaps not the most principled possibility. 12.dxe5 Nxe5 13.Nxe5 Bxe5 has been tested in professional games and not once; in general with acceptable results for Black. Anand applies a novelty. In several games 14...exd4 took place, where White can also count on a small "plus". In the case of 15.Bg5 exd4 the game could repeat the last year's encounter Goganov - Rublevsky. 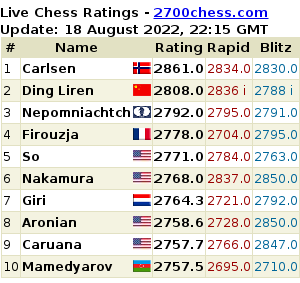 At the press conference Gelfand evaluated his advantage as nominal. White's chances are preferable; an accurate play is required from Anand. And the Champion doesn't make a mistake. After 19.Rfd1 Rfd8 20.Bb6 Black has a strong 20...Rdc8!, and White is unable to win the piece because of the weak first horizontal. Аnd now it's essential that after 20.Bf4 Black plays 20...Re4!. Wihte couldn't fasten it's bishop on b6. It's quite evident the game moves towards the draw. An interesting decision, which, for instance, surprised the English-speaking Nigel Short. Black moves the king to g6 avoiding f7 where it could be checked from d7. Unable to find resources for winning the game, Gelfand offered a draw after making a move; the offer was accepted. The commentator GM Sergei Rublevsky shared his opinion on the start of the match to our website. As you remember, Sergei is well-acquainted with the World Championship format: he worked in Kramnik's team in 2006, when the former world champion was fighting against Veselin Topalov. "Taking into consideration first two games of the match - it's evident that Gelfand took the initiative, - Rublevsky concludes confidently. - Vishy was forced to play accurately both times." At the same time Russian remembers the final position from the first game: "Anand stood worse there than at any moment in today's game (although Black's advantage was more nominative). Rublevsky is sure that Anand will play 1.e4 at least once during the match, and actually that may happen even in the next duel. "The practice of short world championship matches (consisting of 12 games) shows that reconnoitering may last for six encounters, when the score is equal; and then each will be attacking the rival's weak spot, if such will be found." You can listen to Sergei Rublevsky's commentary in the audio player (in Russian). Dmitry Jakovenko: "Anand appeared to be stronger in a mutually sharp position"
In the 2nd and dramatically finished rapid game of the World Championship match the rivals repeated the opening from their classical 10th game of the match. 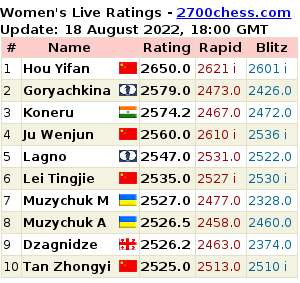 The fourth game of the World Championship match started at 15.00 Moscow time. The opponents continued their theoretical debate in the Chebanenko Variation of the Slav Defence, which started in the second game. The 1st tie-break game of the World Championship Match finished in a draw. The fighting resources in today's fifth game of the World Championship match Anand - Gelfand held in Moscow, were exhausted in only an hour and a half after the start of the encounter. Not long before the end of the game 9 of the World Championship Match in Moscow, the grandmaster Alexander Motylev shared his impressions about the match and explained nuances of the opening struggle in an interview to our correspondent Elena Klimets. It's interesting that Anand's move 25...Ng6, approved by the commentators in general, caused Alexander some doubts.